The legions of Troma fans now know who will be directing the return of its most famous character, The Toxic Avenger! Variety reports multi-talented actor and filmmaker Macon Blair will direct the upcoming reboot of the 1984 "classic". Blair is probably best known for his roles in Jeremy Saulnier's films Blue Ruin and Green Room, but he turned his attentions to directing with 2017's I Don't Feel At Home In This World Anymore. Blair will also write the script for The Toxic Avenger, with Troma's Lloyd Kaufman and Michael Herz producing. The project is set up at Legendary, which has me dreaming of a Toxic Avenger/Godzilla crossover someday. 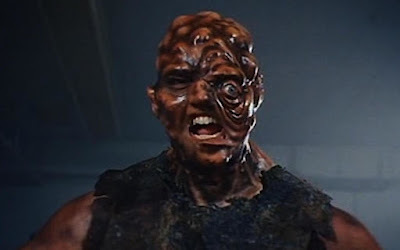 The 1984 cult classic was set in the fictional town of Tromaville, where a bullied janitor at a health club is chased out of a second-story window into a drum of toxic waste. 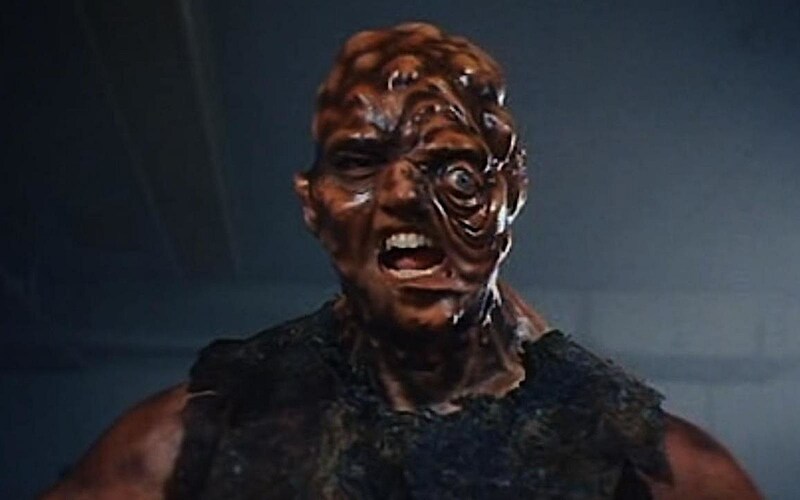 The mix of chemicals transforms him into the superhuman Toxic Avenger, which he uses to fight crime and defend the weak against other bullies. The film sparked a number of sequels, all goofier than the next. Toxie became so popular he helped launch an animated series, a video game, and even a musical. A previous attempt to launch a remake had Sausage Party director Conrad Vernon attached, but that obviously fell through. 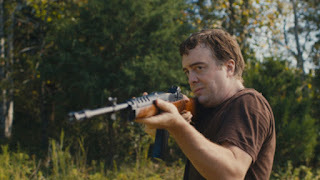 Blair hasn't done a ton of directing but I was impressed by the offbeat nature of his directorial debut, and he should be a good pick for updating The Toxic Avenger.